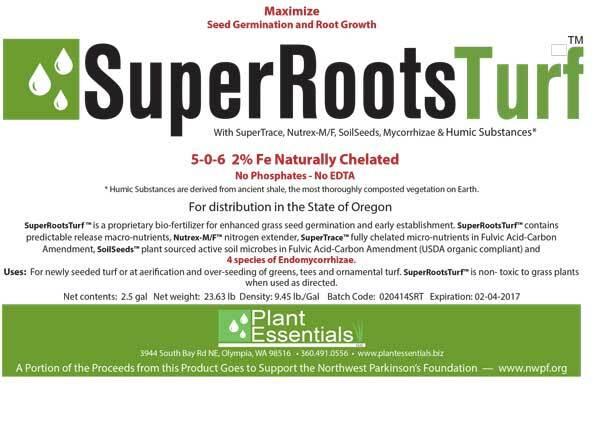 SuperRootsTurf is a liquid combination of predictable release macro/micro nutrients, humic substances with plant sourced microbes* (our SoilSeeds product) and endo-mycorrhizae* for on-the-seed application at seeding or at aeration and over-seeding of greens, tees and ornamental grasses. 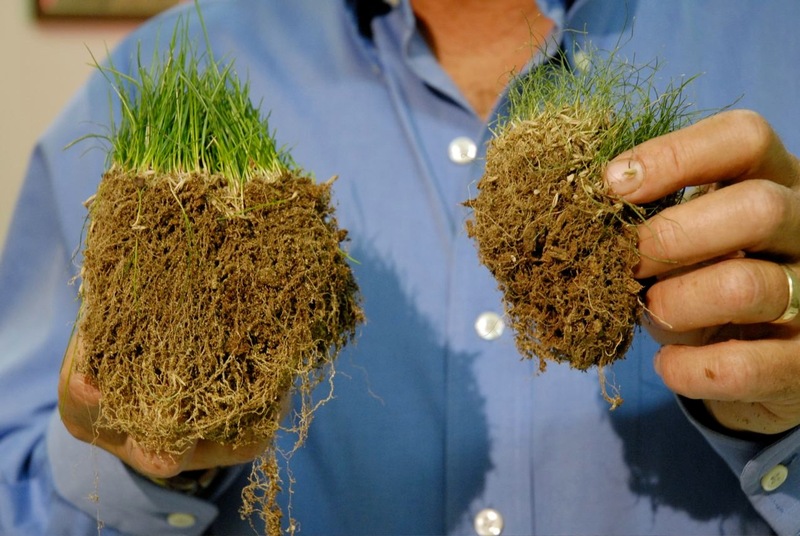 SuperRootsTurf is specially designed for grasses at seeding. 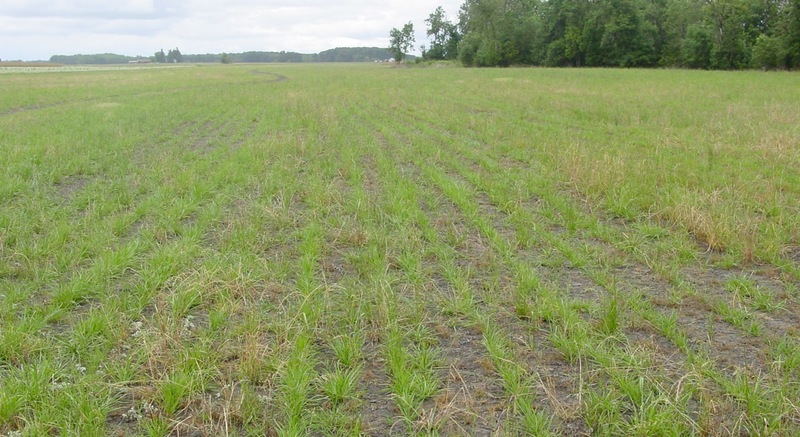 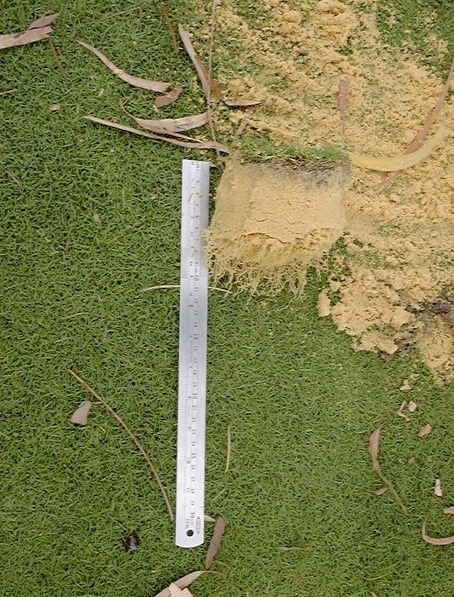 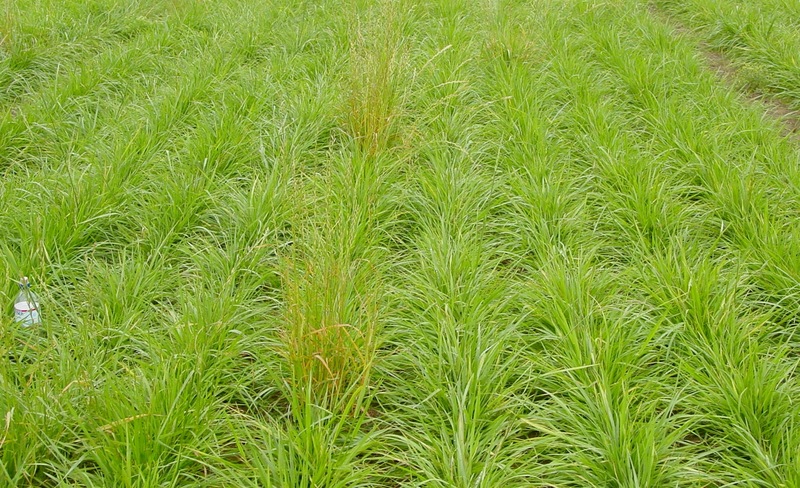 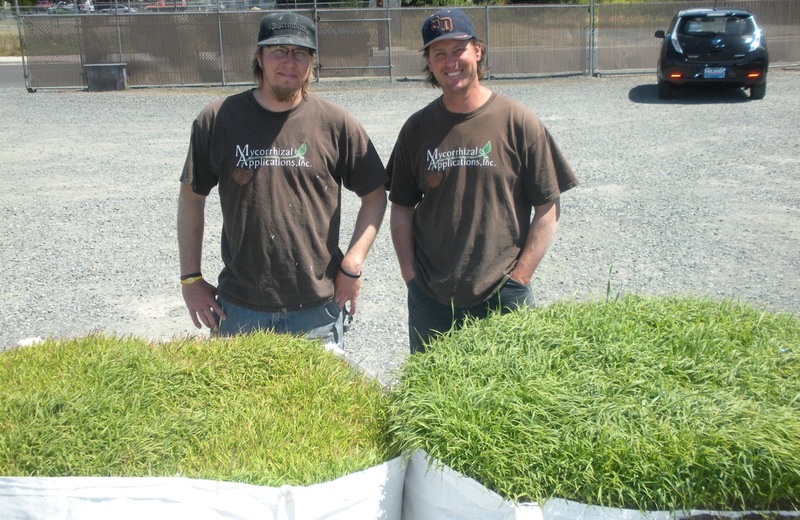 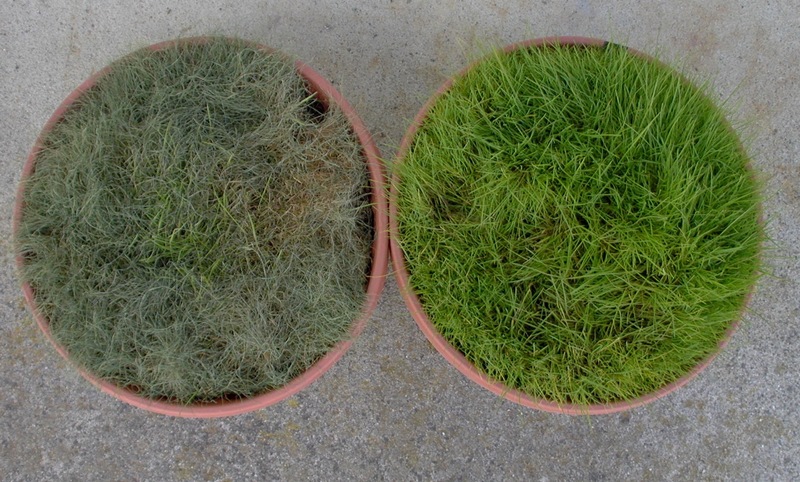 Years of scientific research by the mycorrhizae manufacturer and Plant Essentials’ field experience have shown SuperRootsTurf will hasten the early establishment of grasses with 4 species of endo-mycorrhizae*, and the other ingredients will jump-start germination and support healthy growth through the early grow-in period. 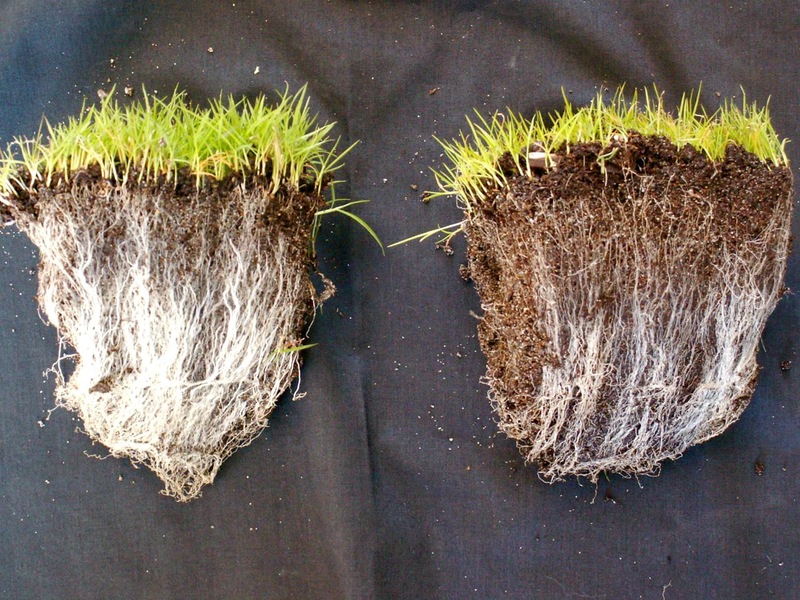 The humic substances will increase the availability of nutrients to the new seedlings and the live microbes will break down nutrients and existing soil organic matter for rapid root uptake. 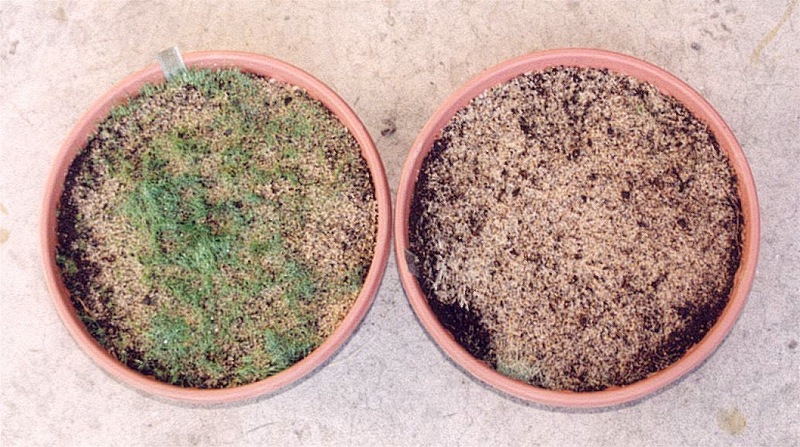 When used at over-seeding existing turf, this product will aid in the reduction of thatch. 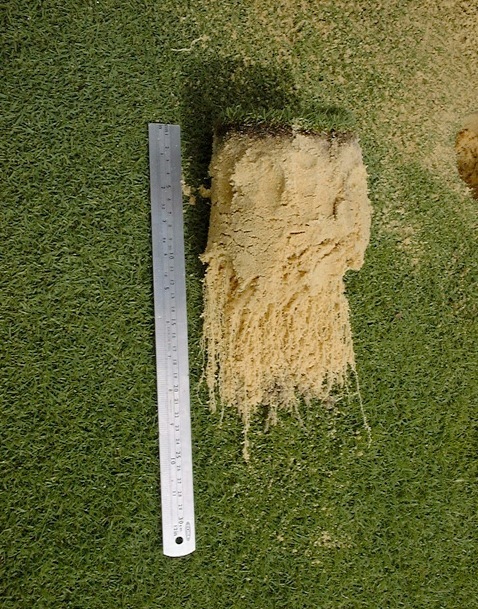 *The humic substances and endo-mycorrhizal components are either USDA organic compliant or OMRI listed, SuperRootsTurf itself is not. 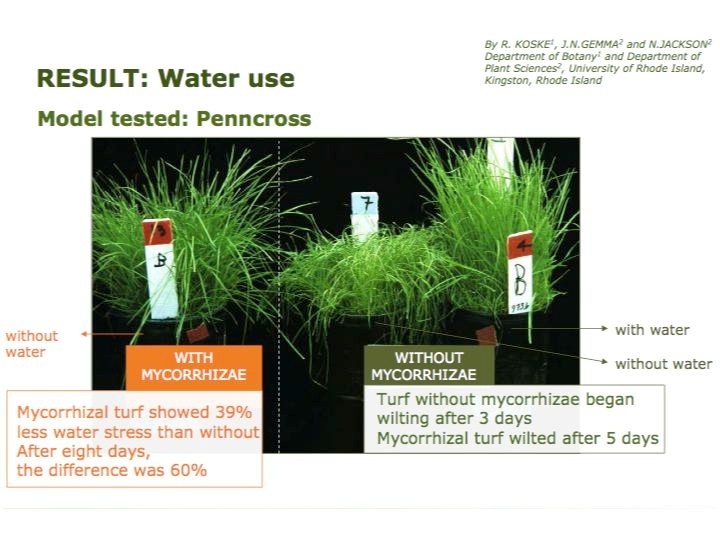 Photos used by permission from the mycorrhizae manufacturer, Mycorrhizal Applicatons.